Hearing a presentation in person and being on site to share and discuss the experience with others is the ideal way for Christian healthcare professionals to interact. Mennonite Healthcare Fellowship wants to especially encourage you to come and participate in the Annual Gathering 2014 which is highlighted in the first article in this issue. At the same time, we can’t all be at the same place at the same time! Thus, Mennonite Health Journal presents both summaries of significant events as well as written versions of some of the key presentations at those events. The lead article, Empowering Patients: New Paradigms for the Urban Underserved, grows out of a Regional Meeting presentation by Nathan and Rochele Beachy, physicians in Cleveland, Ohio. Faith & Healthcare by Beth Good, was presented originally in a Regional Meeting in Harrisonburg, Virginia. Short reports on these and other Regional Meetings are also presented for information and as a way to encourage other regions to hold their own meetings. In addition to these more recent meetings, those persons who have attended MHF events in Goshen, Indiana during the past year have probably heard about Dr. Glen E. Miller’s upcoming book on preparing for death. That book was published earlier this year and MHJ is pleased to present a book review by Mark Derstine, a chaplain in Pennsylvania. 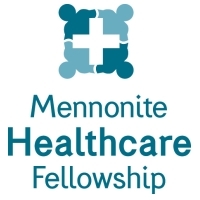 Mennonite Healthcare Fellowship also cooperates with other Mennonite organizations in the annual Mennonite Health Assembly (MHA). MHF Executive Director, Paul Leichty, reports on MHA 2014 held in Kansas City in March. A second report comes from Mennonite Chaplains Association (MCA) President, Kenton Derstine, on the chaplains’ track of MHA. In his editorial column, Paul Leichty, reflects on Healthcare and Mission as he connects the upcoming Annual Gathering 2014 with an even bigger set of events in 2015 as MHF’s Annual Gathering is held just prior to Mennonite World Conference Assembly Gathered. Finally, two presidents reflect on the value of participation in general. Joe Longacher, President of MHF, urges us to go first to the places where we will most likely find the resources—in this case, resources for integrating faith and practice. Murray Nickel speaks to the value of listening to folks at the grassroots level whether in a North American town or city or in a sprawling city or small village in the Congo. May you find blessing as you read this issue! Photographs supplied by authors unless otherwise noted. Paul D. Leichty, M.Div. is Executive Director of Mennonite Healthcare Fellowship (MHF). 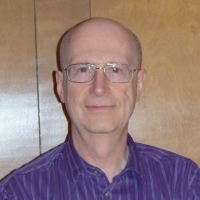 Paul has served as a pastor, church musician, computer support person, disabilities advocate, and administrator/organizer of a number of church-related ministries. In addition to responsibilities at MHF, Paul is Executive Director of Congregational Accessibility Network and outgoing Director of User Services at Mennonite.net. He is a member of Agape Fellowship of the Mennonite Church in Williamsport, Pennsylvania where he lives with his wife, Twila Charles Leichty.